Annual and unconditional event for all those animated by cultural passion, the Night of Museums is an event not to be missed. Indeed, one evening in the year and all over the continent, the sites that wish to open their doors free, at reduced rates, while proposing many animations. The opportunity to visit a museum, a battery of artillery or any other memorial in a particular context and arousing an additional interest for the discovery of a place but in an environment changing from that habitual. 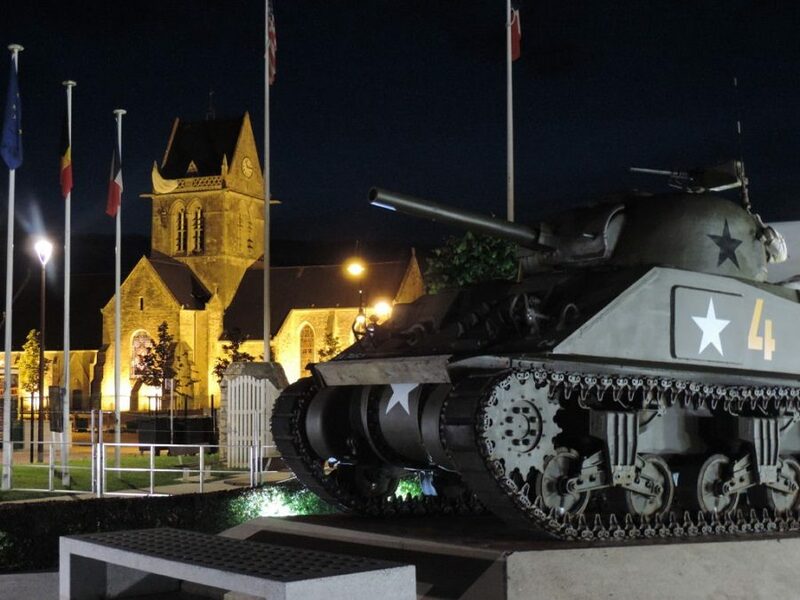 On the occasion of the European Night of Museums, the Airborne Museum of Sainte-Mère-Eglise opened its doors until 11 pm last night. A varied program was proposed to visitors: a complete night tour of the site including the new temporary exhibition dedicated to Bastogne, embarkation and guided tour of the C-47 Argonia, plays offered by schoolchildren on the Normandy landing. It was the opportunity to enjoy the beauty of a site constantly evolving in a different atmosphere.